When I was four years old, my father took me out to a local electronics store and said we were buying a computer. OK, I thought, not really knowing why that was such a big deal. Twenty-seven years later, I now know it was one of the most significant days of my life. That day we brought home a Commodore 64, my first ever video game system, the device which first kindled my lifelong passion for video games and which, ultimately, has led to who I am and where I am today. 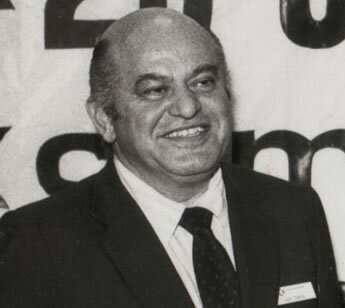 So it's sad to learn today that Jack Tramiel, the founder of Commodore International, has passed away at the age of 83. Born in Łódź, Poland in 1928, Tramiel's early life was, like that of fellow video game pioneer Ralph Baer, dominated by the aggression of Nazi Germany. Following Poland's rapid defeat in 1939, he would spend the next six years in German captivity, first working at a garment factory and later as a labourer. Liberated from his work camp by US infantry, Tramiel would, again like Baer, end up in the US Army, where he specialised in the maintenance of office equipment and typewriters. This experience enabled him to establish the Commodore Portable Typewriter Company in 1954, and when the typewriter business began to go sour a few years later, he deftly switched both his operations and company name to Commodore Business Machines, Inc., and began producing calculators instead. Then in 1977 Tramiel was able to switch lanes again, and recognising that the future of home electronics lay in computers, had Commodore (now known as Commodore International) engineer Chuck Peddle come up with the PET (Personal Electronic Transactor), an all-in-one device which was popular in institutions like schools. Schools alone wouldn't pay the bills, though, and Tramiel's now-famous line "We need to build computers for the masses, not the classes" led to two of Commodore's greatest successes. In 1982, though, they went one better, and released the Commodore 64. It was, for the time, the perfect machine, striking a balance between performance and affordability that would see it sell over 20 million units. To this day it remains the single biggest-selling personal computer system of all time. What made the C64 so impressive was the way it blew away the competition in terms of both graphics and, more importantly, sound (indeed, the C64's unique architecture means its still a favourite of chiptune artists today). This led to some of the most memorable games of the 1980s appearing on the platform, from Last Ninja to GI Joe, Elite to Little Computer People, Summer Games to Way of the Exploding Fist. And that's before I even get to Cities of Gold, Pirates! and Aztec Challenge. I adored my system, and its massive catalogue and raw performance meant it survived as our home computer until 1992. Even then, people were trying to make the system relevant, with ports of contemporary games like Street Fighter II. Tramiel left Commodore in 1984, and in a strange quirk would go on to buy the remains of Atari. It was Tramiel's son Sam, in fact, who oversaw the development of the Atari Jaguar, the company's last important contribution to the home video game market. A lot of farewells, and as this medium matures we're only going to need to write more of them, end up either sad or, sadder still, acts of discovery as the masses only find out about how important a person was when they pass. This time, though, I just want to say thank you, Jack. I know you weren't the only person involved in the creation of the C64, but you were the man in charge, and without you I wouldn't be who I am today. So, yeah. Thanks.